So how&rsquo;s your summer going? It&rsquo;s been going really well. 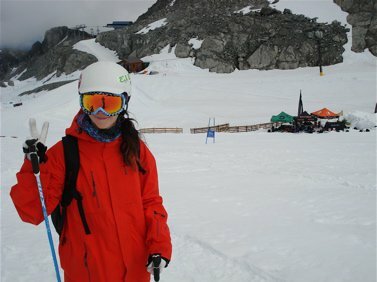 I&rsquo;ve been having a lot of fun up here in Whistler at Momentum. You&rsquo;re here for the whole summer right? Yeah. Well for as long as summer camp is going on, and then I&rsquo;ll head back home for a bit of downtime before going down to New Zealand. What&rsquo;s your role up at Momentum? I&rsquo;m the trampoline coach. I spent my spring getting all of my qualifications, which was five different courses and two hundred practical hours. Sweet. So can you do all sorts of gnarly tricks? You&rsquo;ve been doing some on-hill coaching too right? Yeah, just filling in here and there if people are late or need to take a day off. I think it&rsquo;s the best summer they&rsquo;ve ever had. The flow of the lane is better than ever, the coaching staff is stacked, and most importantly, the sun is always shining. How was your season? You had a pretty good year. Yeah, definitely. There were a few comps were I was a little bummed on how I did but overall I had a great time this year. Competing in the X-Games for my first time. I found out I got a spot on my 18th birthday, so that was pretty cool. It was a pretty terrifying experiencing competing there, but a lot of fun, and I&rsquo;m really looking forward to doing it again next year and hopefully landing a better run. And what was the worst part of last year? Definitely WSI. I had a couple of really bad falls that I&rsquo;m still suffering from plus I&rsquo;ve never ended a season on such a bad note like that. Pretty similar schedule to this year. A lot of competitions, including the Dew Tour, which I&rsquo;m really excited about. Will there be girls in the Dew Tour? Yep. So far we&rsquo;ve heard that it&rsquo;s just going to be a demo, but they are going to be paying us. It&rsquo;s just going to be a very low level of media. I don&rsquo;t think so. I mean all the information I have right now is second-hand from Sarah, but from what I understand we are going to be a category, but it&rsquo;s going to be called a demo. Well sadly, I know that a petition on Facebook isn't going to make halfpipe skiing a reality in 2010 because unfortunately no petition is ever going to do anything except raise awareness. So props to those who started it but nothing that needed to be put in place to make 2010 possible has happened. My eye doctor is on the Canadian Olympic Committee (COC) and he told me a number of years ago that they really expected Canada Freestyle or FIS to put halfpipe skiing on the list for consideration for 2010, but it didn't happen. It has never been put on any list for consideration by VANOC or the IOC and that's the sad thing. As Trennon said in that great interview with you a while ago, there are the reasons we have been given but all of them were ones that snowboard got around. 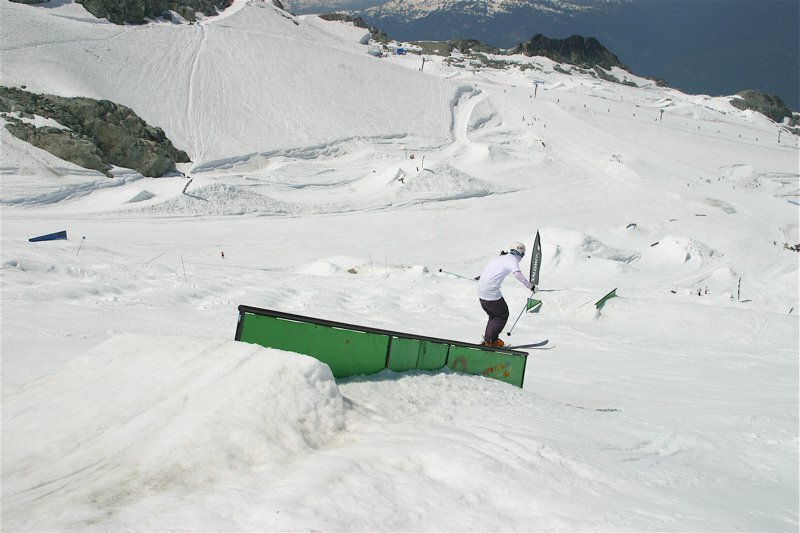 It took a lot a lot of push to get moguls and aerials into the Olympics two decades ago. I think that there are some very conservative national and international sports organizations like FIS who are scared of change. From the notes on the last FIS meeting in South Africa, it looked like the freestyle representatives spent more time talking about bib collection etiquette than athlete and event development. But fortunately there's a new New Zealand official on the FIS freestyle committee who's the youngest guy on the committee and I've heard he's doing some good things to help with the push so hopefully 2014 will be a reality. But it needs to get on the list for consideration first. Think there&rsquo;s still a chance for 2010? Well I&rsquo;m not holding out hope. I&rsquo;m only 18 so I think in 2014 if I&rsquo;m still healthy it&rsquo;s very likely that I&rsquo;ll be in my prime, so I don&rsquo;t mind waiting if we have to. I also think it&rsquo;d be better at this point for us to stop focusing so much on the Olympics if it&rsquo;s not going to happen in Vancouver and start focusing more on bettering the events we already have. Like the Olympics would be great, but let&rsquo;s make the US Open better, let&rsquo;s make WSI better, let&rsquo;s make all those events we already have better. What&rsquo;s next in women&rsquo;s skiing in your eyes? There&rsquo;s always lots to talk about when it comes to that subject. Always lots to talk about yeah. Well first off I think there&rsquo;s a lot of younger girls coming up who are going to push the girls who are already established. Definitely Megan Gunning and Kelti Hansen from Alberta. Canada is holding it down for sure for the girls. And on the slopestyle side of things Kaya is about to make a big comeback, so everyone is going to have to watch out for her. It&rsquo;s going to be an interesting year. I don&rsquo;t think that next year any girls will be able to do the same run they&rsquo;ve been doing for the last four years and get on the podium again. There&rsquo;s definitely going to be some big changes in my mind. Speaking of changes, is there anything on the women&rsquo;s side of the sport that you&rsquo;d like to see change or be different? I think all the changes that need to be made we need to make ourselves, and I don&rsquo;t think we should be demanding respect without getting it on our own.